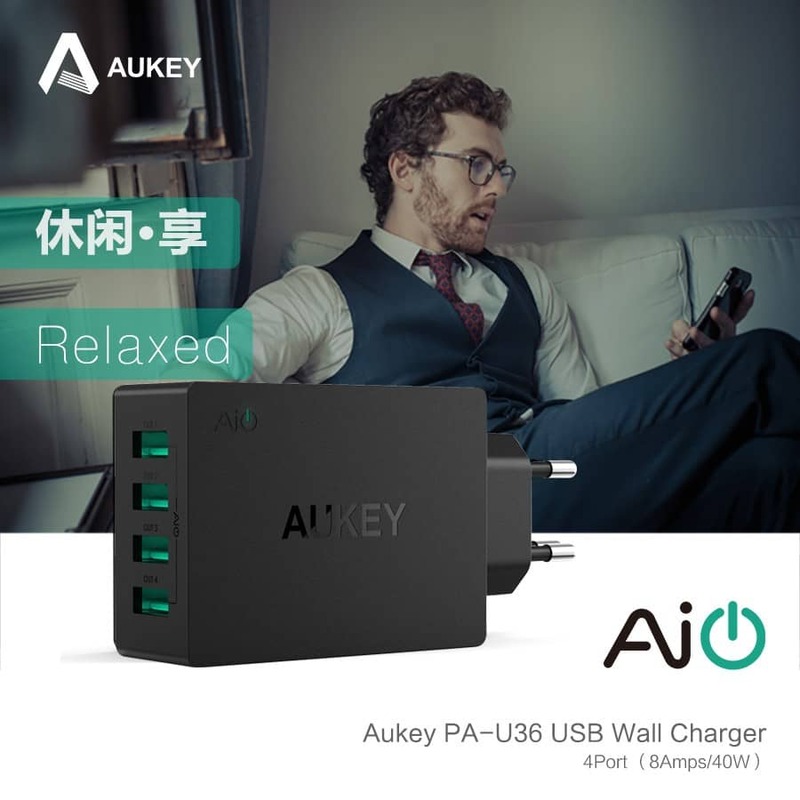 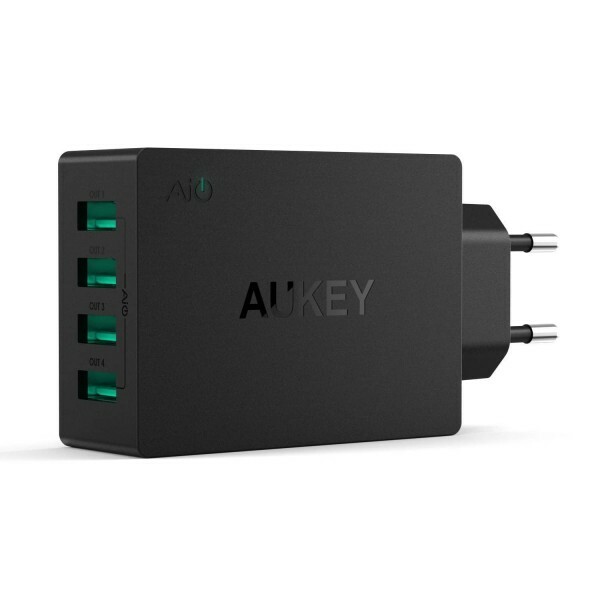 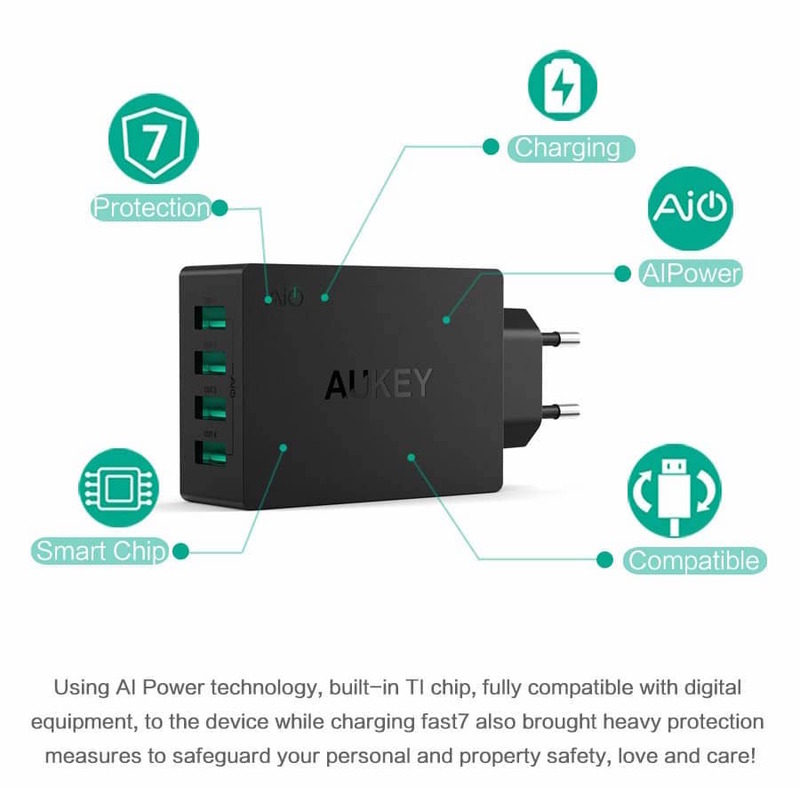 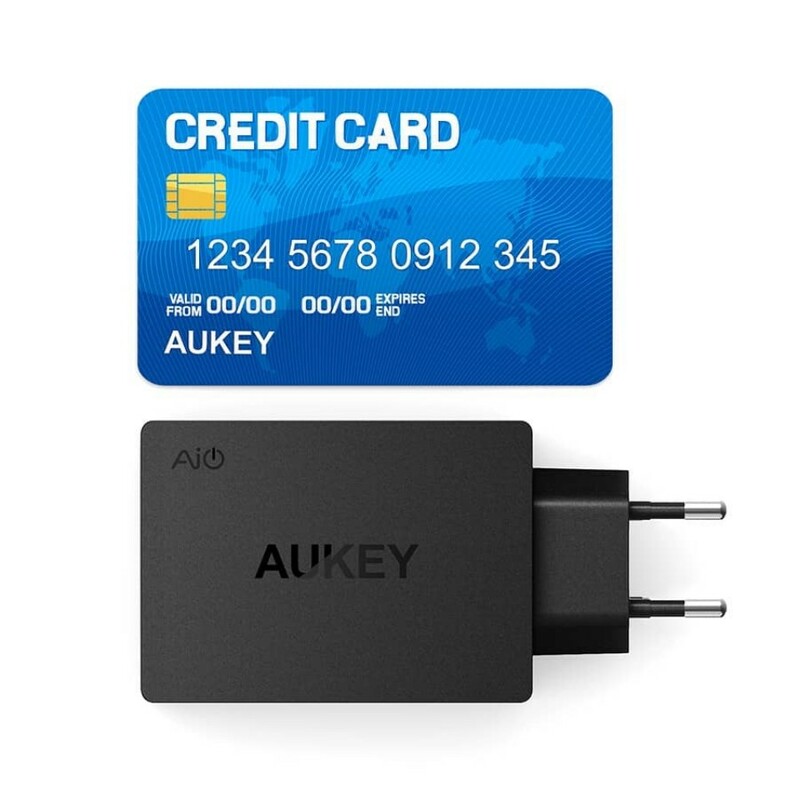 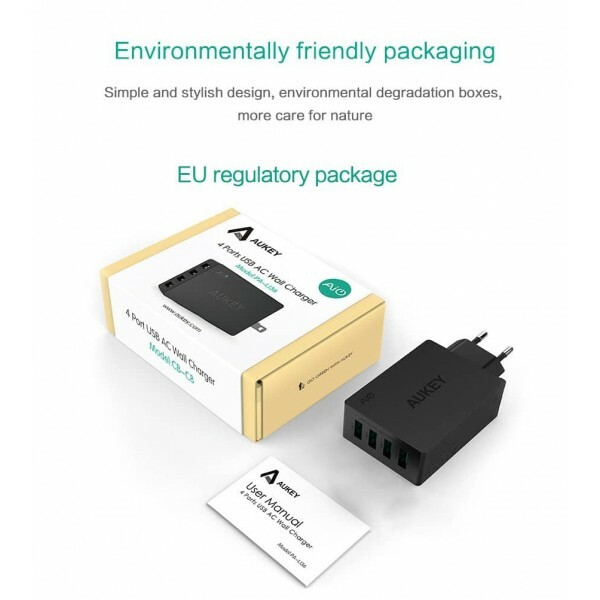 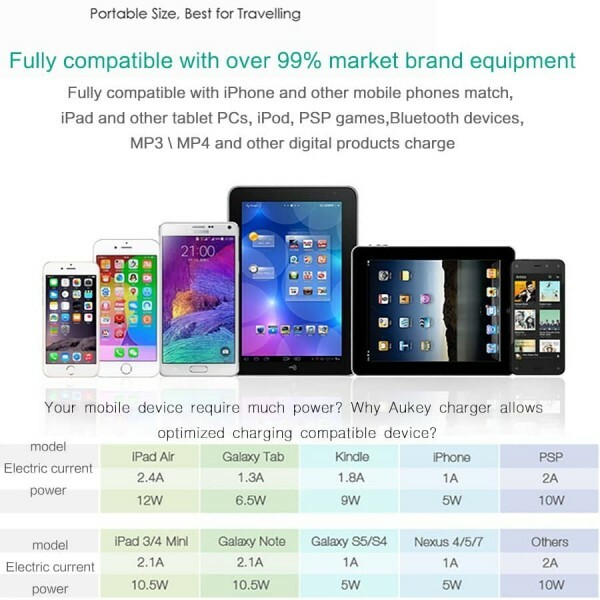 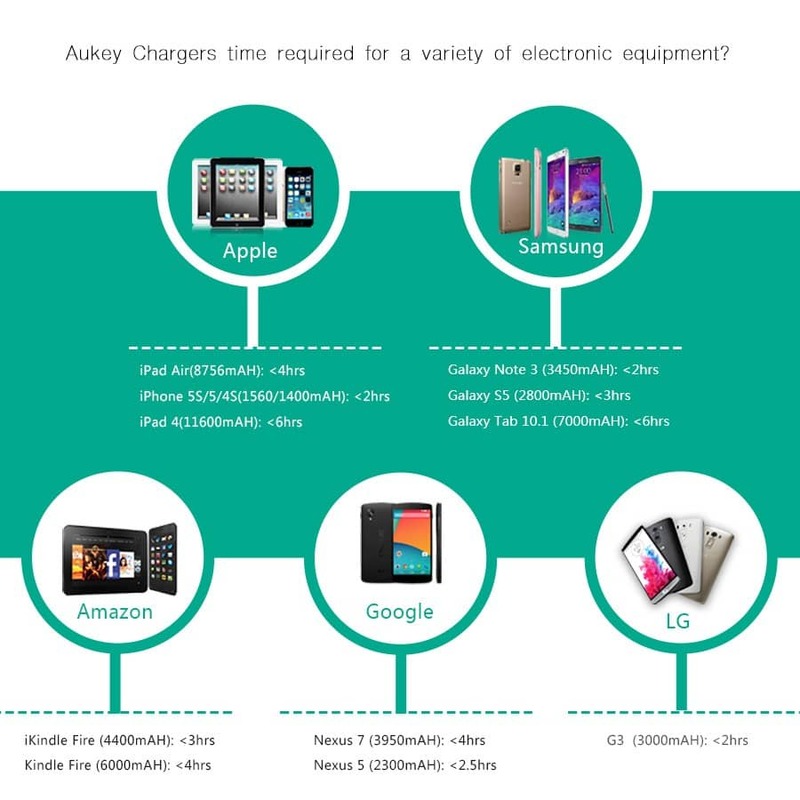 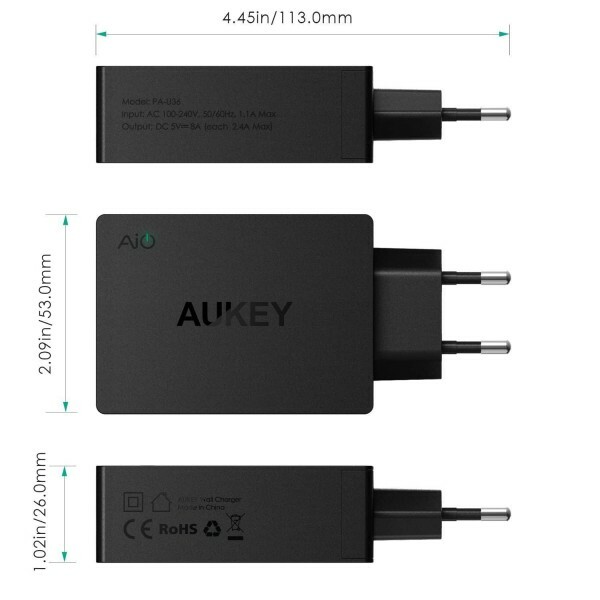 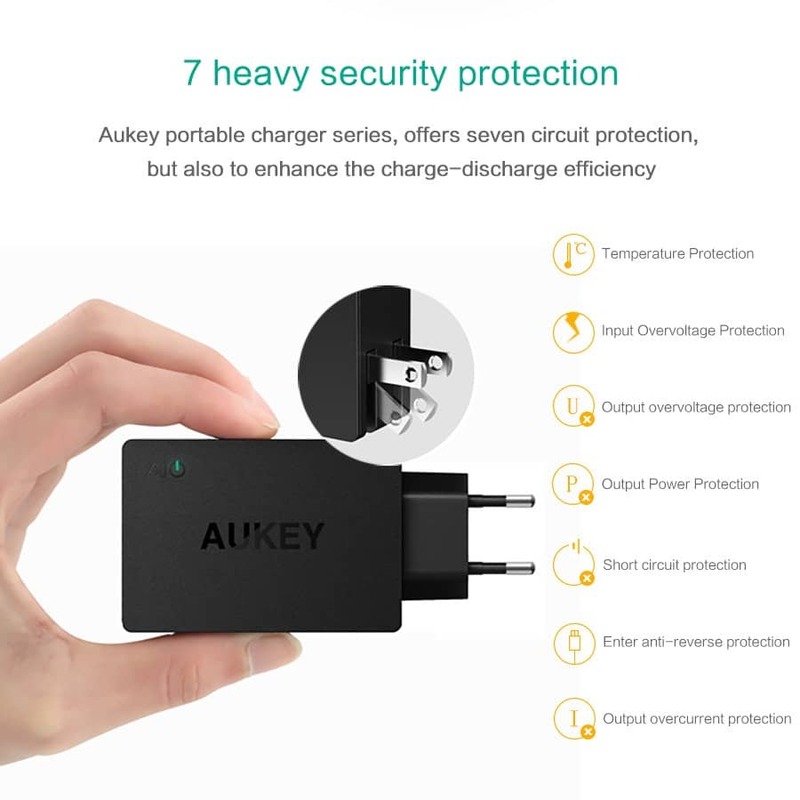 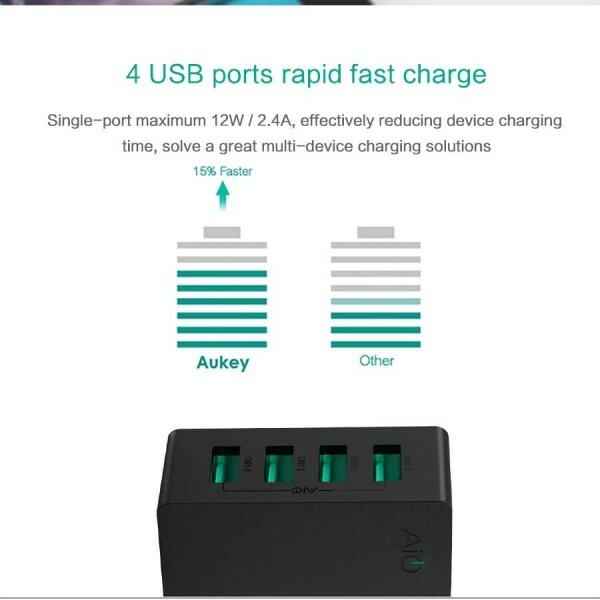 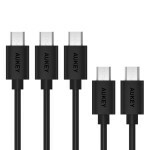 At 40W / 8A, the Aukey 4-Port Wall Charger can adjust the power automatically to keep balance at 40W full loading rating. 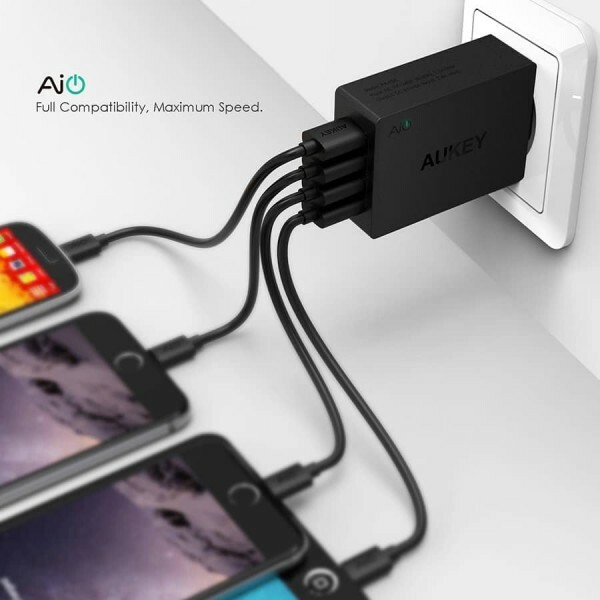 Lighter than an Apple and an Android charger combined. 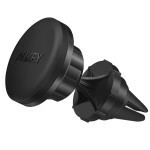 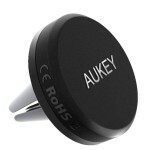 Require less space in your bag without sacrificing anything with the foldable plug. 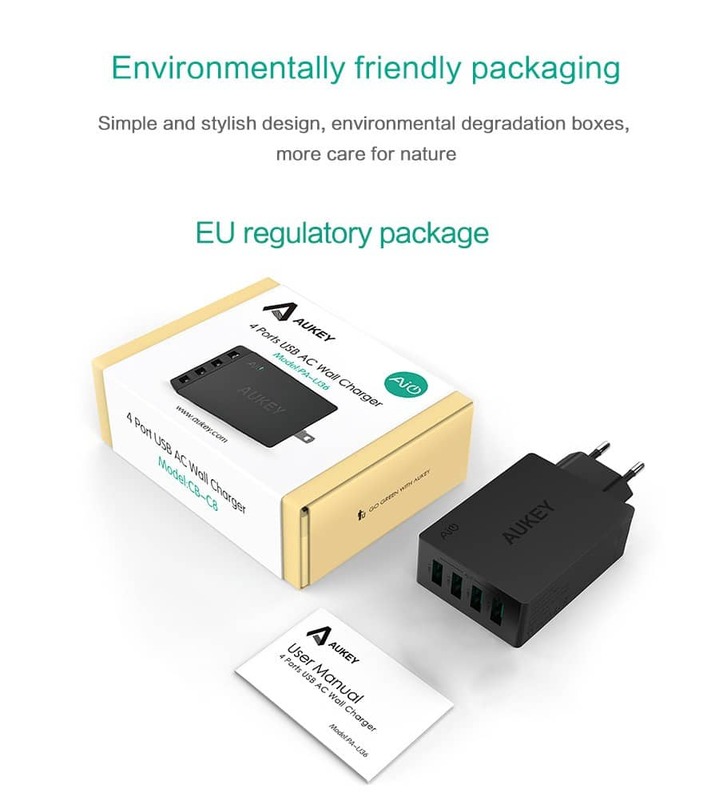 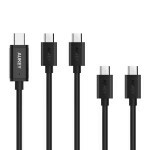 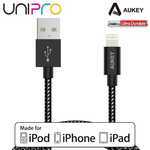 Just bring along your OEM wires, and you're ready to go!